Arkansas should change its nickname from the Natural State to the Polite State. It was Friday, the last day of my assignment. I was leaving Arkansas for good. Despite the courtesy, the biggest thing I would miss about Arkansas was the Little Rock beer. Still, I wanted to show my appreciation to the customer for having me. But what do you do for a company with thousands of employees in offices throughout the world? I decided to bring in donuts. Of course, everyone likes donuts. Especially the ones with the little sprinkles on top. Besides, I was running late for work. Donuts would be a fast solution. 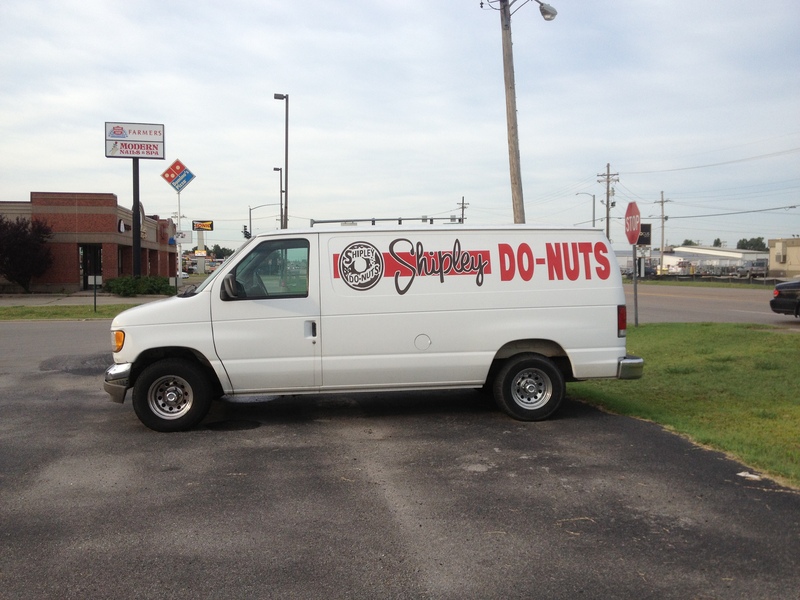 I’d been driving past Shipley’s Do-nuts all week. This morning there was a big sign out front: Best Blueberry Do-Nuts in Craigshead County! Git Some Now! Perfect. A dozen blueberry donuts would make them forget all about the thing with the inventory. I would leave on a positive note. 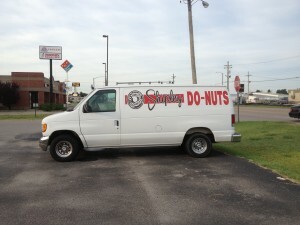 Unfortunately, the drive-thru at Shipley’s Do-Nuts was backed up twenty cars deep. The parking lot held more cars than ticks on a hound dog. I would have double-parked but there was an Arkansas police cruiser sitting out front, so I drove my rental car across the street to the Save-A-Lot and pulled into a handicapped space. I was really late by now so I walked against the light, and was nearly killed by a young man in a truck carrying chickens to the nearby processing plant. He honked and flipped me a double-bird. By the time I got to Shipley’s Do-Nuts, it was 8:20. The wrap up meeting was due to start in ten minutes. But a big box of blueberry donuts was sure to make them forgive my tardiness. An elderly woman stood by the front door. “Excuse me, are you waiting to order?” I asked. “Over there, sonny,” she said, and pointed her cane. The line wrapped around the building and down the street. There must have been three-hundred hungry Arkansans waiting for blueberry donuts. Apparently, not everyone in Arkansas is nice. It was five of nine before I got to the counter. The girl at the register wore a pink and white-striped dress the size of a circus tent. Her name badge said HENRIETTA. “I need a dozen blueberry donuts, fast,” I said. “Maybe I could still catch the tail end of the meeting. I walked out of Shipley’s Do-Nuts empty handed. I was forty-five minutes late for the meeting. My boss would be furious. “Have a wonderful weekend, sir,” called Henrietta. Ten minutes later I walked into the conference room. The meeting had just finished. A big empty box with the Shipley’s Do-Nuts logo sat on the table. I explained what had happened, how I’d stood in line waiting for the best blueberry donuts in Craigshead county, how the old woman and then Henrietta had ridiculed me, and how I’d failed at last to bring my customer something to show my appreciation. Always had a thang fer donuts. "Americans learn only from catastrophe and not from experience."